The ancient seaport of Akko (about a half-hour drive North from the city of Haifa) is one of the world's oldest continuously inhabited cities. The first recorded mention of Akko dates back to the reign of the pharaoh Thumtose III, who ruled from 1504 to 1450 BCE. Since then, Akko has been captured several times and has been placed under the leadership of many an empire and country. The Bahai World Center has recently bought an old military base adjacent to the Baji compound in Akko. It plans to create an open vista, making the compounds gardens visible from the North. UNESCOS's recognition of Acre, including the Baji compound, as a World Heritage Site provided added incentive to the plan. The gardens are the home of the founder of the Bahai faith, Baha'u' llah. The walls of the city, its fortresses and citadels, its churches and mosques and the other buildings within its boundaries, tell the history of the many rulers who governed Akko and fought for it, who built the city and glorified it. Acre's most prominent sites include ruins from the Hellenistic-Roman period and buildings from the Crusader and Ottoman periods: Al Jazar Mosque, the buildings of the Order of Saint John, the subterranean Crusader city, Khan Al Omdan, the Turkish Baths (which now house the municipal museum), the Bahai Temple and others. In Acre you will be able to see evidence of many peoples and religious movements: the Canaanites, the Greeks, the Romans, the Byzantines, the Crusaders, the Mamelukes, the Turks and the British.Today, Acre offers tourist attractions such as colorful Oriental markets, the city walls, museums, beaches and the sea-sports sites, Fisherman’s Port, the marina, restaurants, hotels and colorful festivals ( such as the Akko music and theater festivals) that are held in Akko annually. New hotels are being planned and built as these lines are written ( Jan 2012 ). 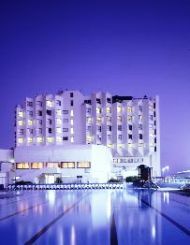 Akko's one main hotel is the Palm Beach hotel, but Haifa and Naharia are within a short driving distance.